If you want to take your CBT test in Feltham then you’re spoiled for choice. There are several CBT test centres in and around Feltham, and many more in the surrounding areas such as Wembley, Richmond and Kensington if you’re prepared to travel a little further. The closest two CBT test centres are located in Feltham and Hounslow. 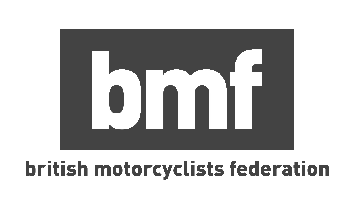 West London Motorcycle Training, based at Fairholme School in Feltham. WLMT will provide you with a bike and helmet to use during your CBT test, and all the staff are friendly and helpful. Since Feltham is outside central London, the roads are a little quieter, which will make the road-riding portion of your CBT easier. Heathrow Motorcycle Training are based right next to Hanworth Park, just a 20 minute walk from Feltham station. This particular school is MCIAC Approved, which means you’ll get the best training and customer service anywhere in the UK - these guys really know their stuff. When you take your CBT test in Feltham you will be given the choice of completing your training on an automatic scooter or a manual motorcycle. Both types of bikes have the pros and cons. Automatic scooters are easier to ride for complete beginners as you don’t have to worry about gear selection or clutch control. Simply twisting the throttle will cause the machine to accelerate. Both the front and rear brake are operated by levers on each handlebar - exactly the same as a bicycle, which make things easier still. Perhaps the main downside to learning on, and riding, an automatic scooter is that the lack of a manual gearbox and clutch means slow speed maneuvering isn’t quite as easy. When you ride a manual motorcycle you also have to concentrate on selecting the correct gear for the speed you are travelling, and using the clutch to pull away. This adds another level to learning to ride on two wheels, and it can take a little while longer to master than simply riding an automatic scooter. But what you lose in ease of use you will more than make up for in the level of control available. It is much easier to accurately control a manual motorcycle at slow speeds, using a combination of the clutch, throttle and rear brake. What you decide to ride on the day is entirely up to you. If you decide to complete your training on an automatic scooter you will not be restricted to riding just automatic machines on the road, unlike with a car licence. However, it does make sense that you take your CBT training on the type of bike you’re going to be riding. It doesn’t make much sense to learn how to ride a manual motorbike when all you’re going to ride is an automatic twist and go scooter. If you want to find out just how simple and fun a CBT test is, you can read our CBT training blog here.